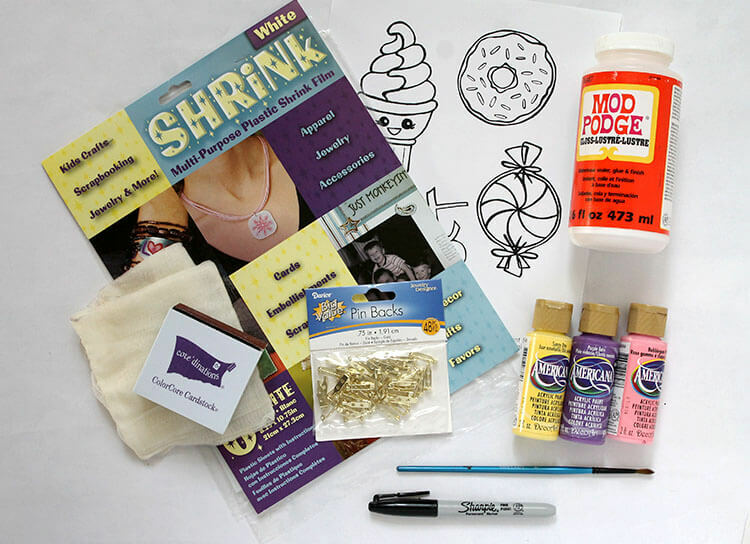 Make your own adorable lapel pins in sweet shapes using shrinky dinks! 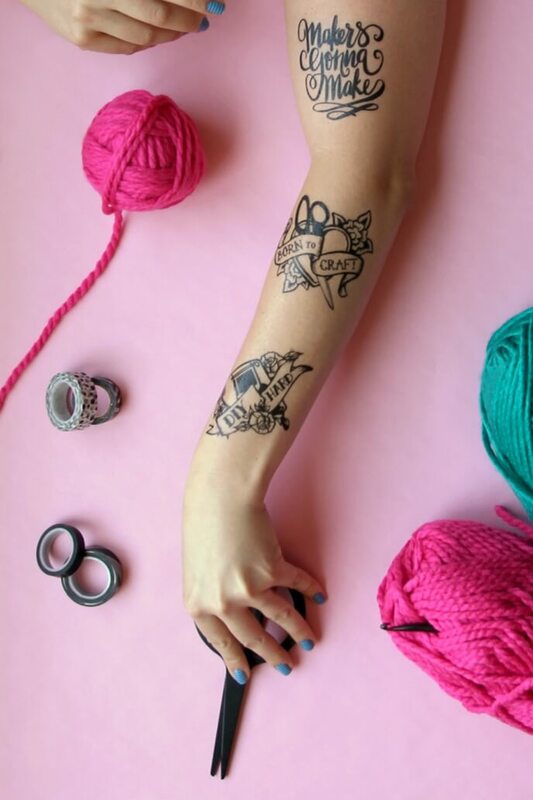 Totally fun and totally customizable. This post contains affiliate links when possible and was previously shared at Darice. 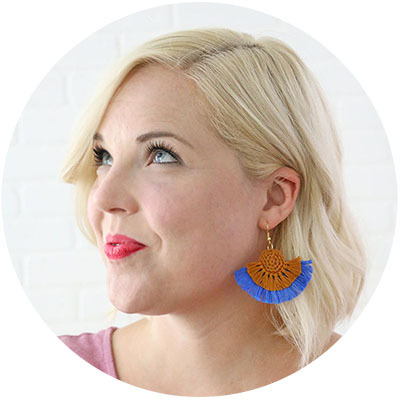 A little while back I shared some fun DIY emoji pins that were a lot of fun to make, and today I have another DIY pin project to share – a sweet shoppe version! 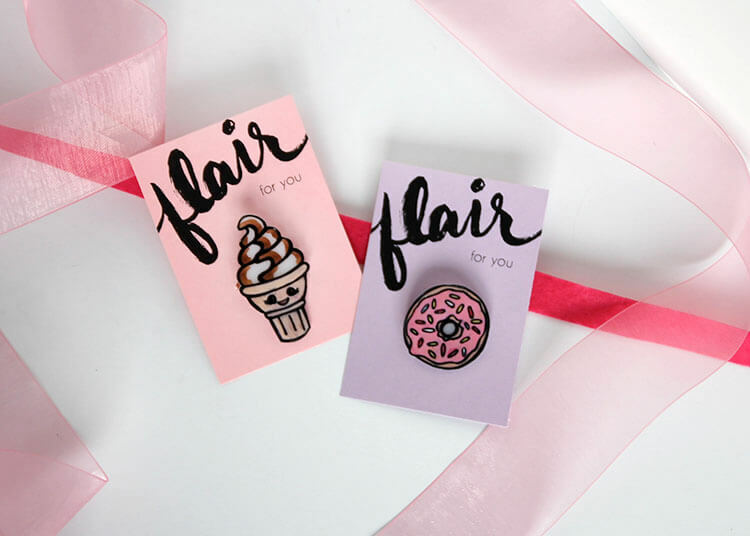 Because everyone could use a cute little donut pin in their life. Right? 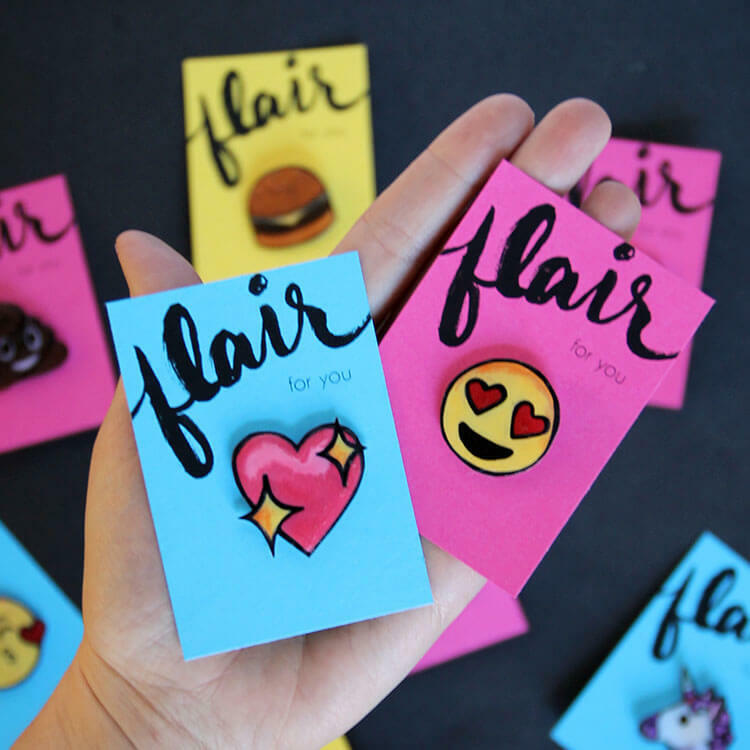 Plus, These little homemade pins make perfect gifts for friends. 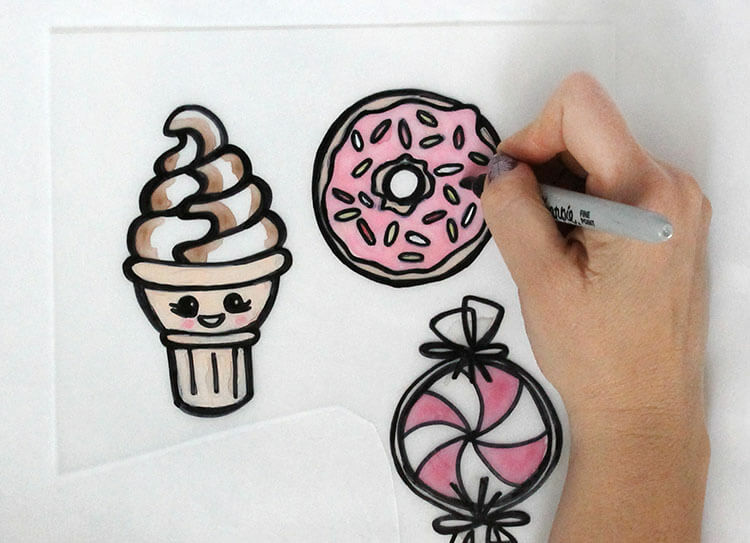 You can make their favorite treat, and they look especially sweet on the cute printable gift cards I designed for you all. Start by gently sanding the shrink film and wipe off any dust. Roughing up the surface helps the paint to adhere to the plastic. 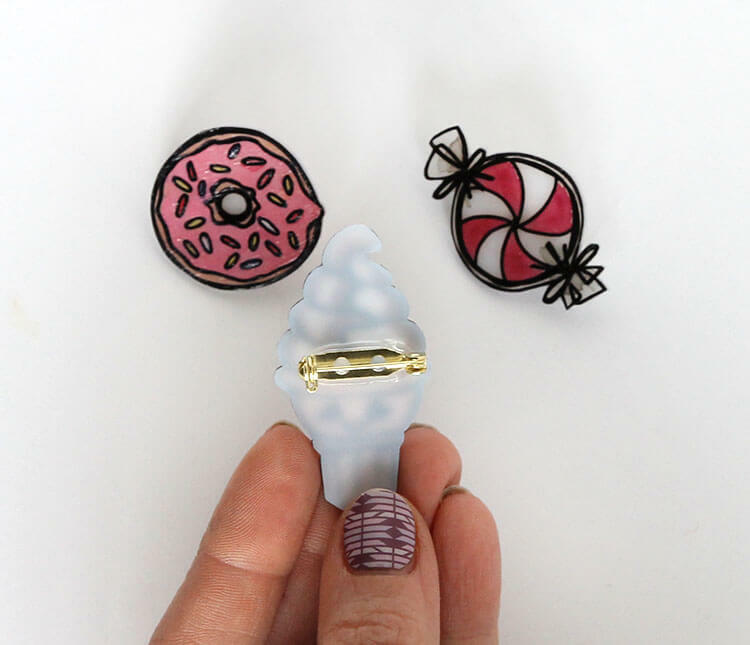 I drew out some cute sweet treats for these little pins. You can download my designs HERE or you could use any clip art or image you like. 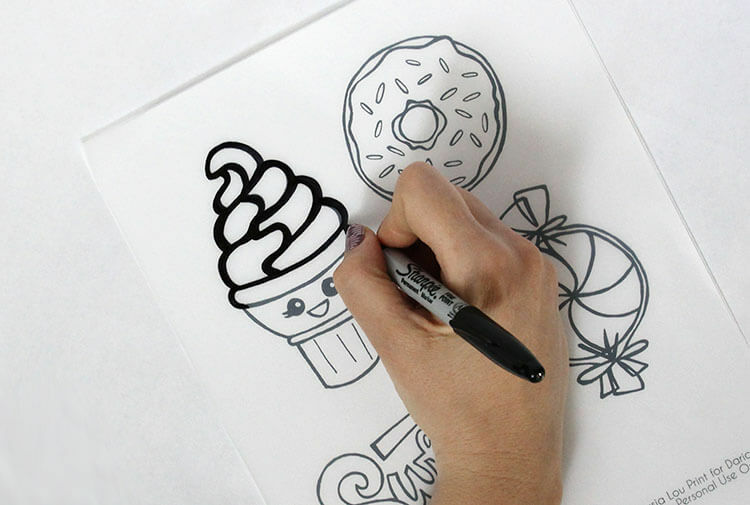 Just print the images out on regular copy paper, place the shrink film on top of the images, and trace the outlines of each shape with the permanent marker. Once you all the outlines are traced, the next step is to paint in the designs using acrylic paint that has been thinned out with water. It is important to get the paint pretty thin to end up with a nice smooth finish. If you get too much pigment on the plastic, it will kind of clump up and create a texture on top of the plastic after it shrinks, which isn’t great. And don’t worry about any paint that goes over the black outlines because when you are done painting, you can go back over the black lines with your permanent marker if needed. 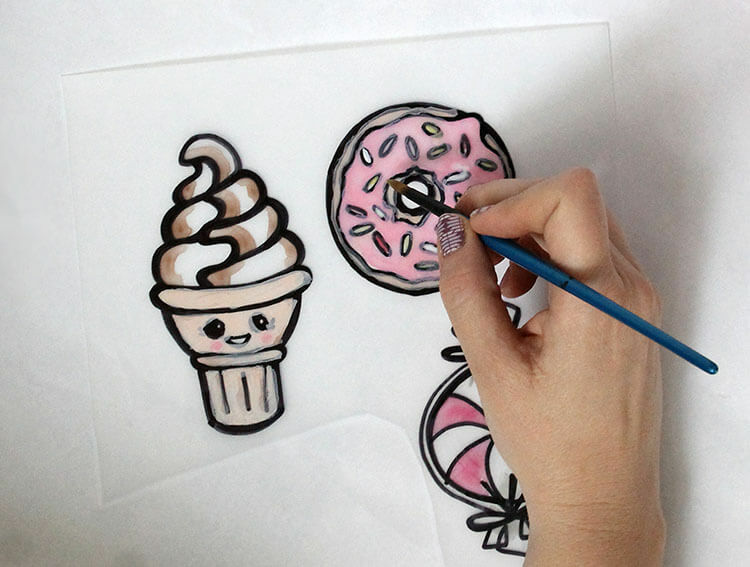 When you have your sweets all traced and painted, it’s time to cut them out. Cut right along the black line so there is no white space on the outside. After your treats have cooled completely, you can add a clear topcoat to make them nice and shiny. I used brush on gloss decoupage, but I think a spray on sealer might work even better. Finally, after the top coat has dried, use a hot glue gun to attach tie tacks or pin backs. And that’s it! 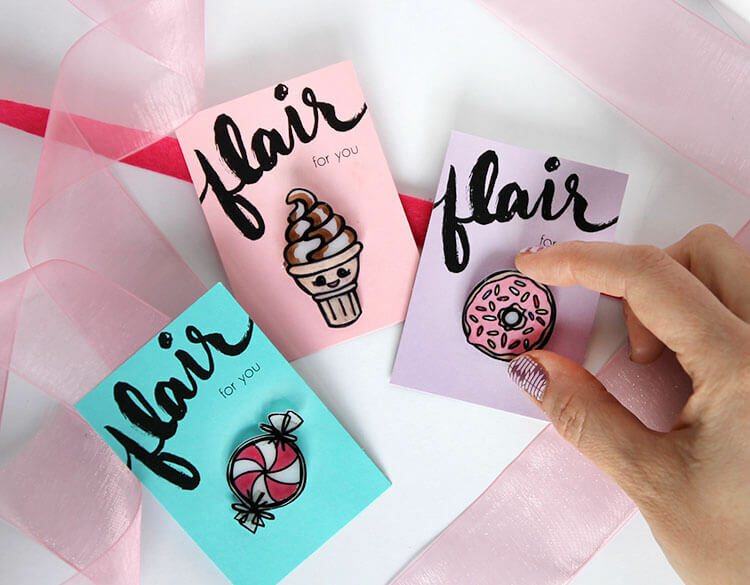 Your new sweet flair is all ready to wear! 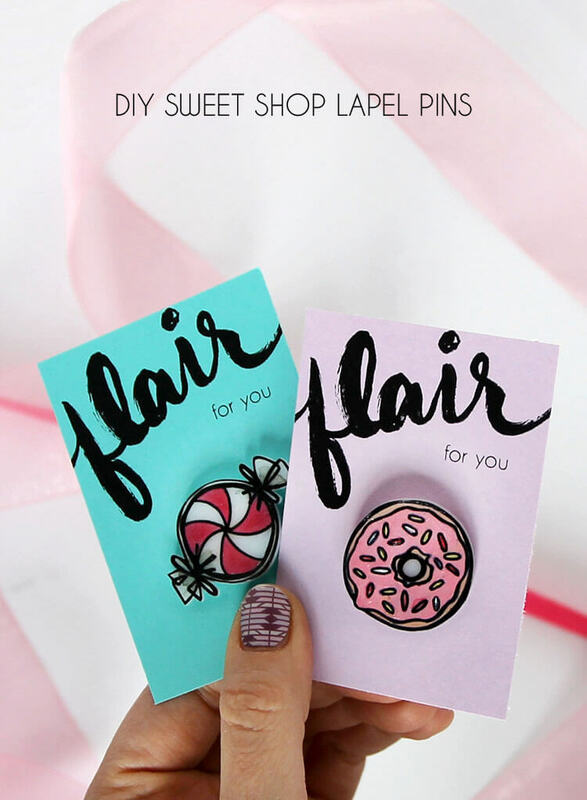 If you are gifting these cute homemade pins, you may want to print off some of the gift cards I designed to go with them. Download the “flair for you” cards right HERE. 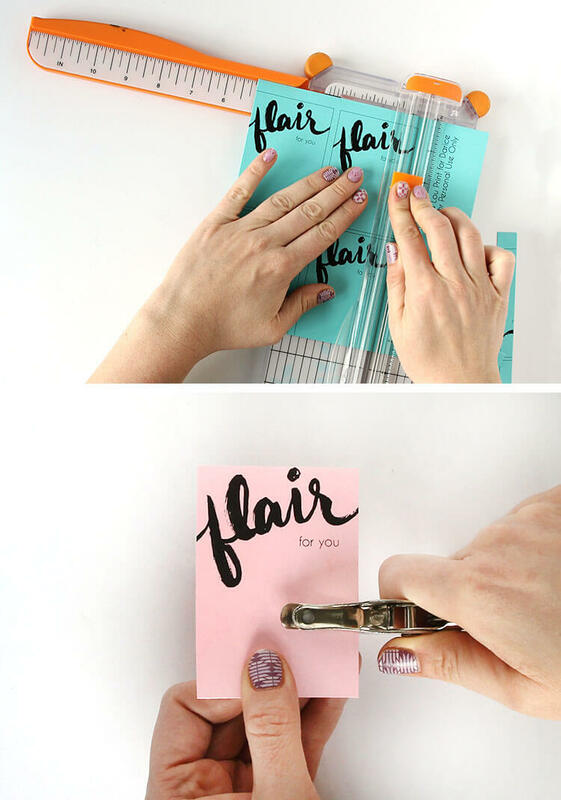 Just print, cut, and punch holes for the pins to fasten through. These are the perfect little gifts. How cute would these be for little Valentine’s Day gifts? I think the donut pin is my favorite. What do you think? 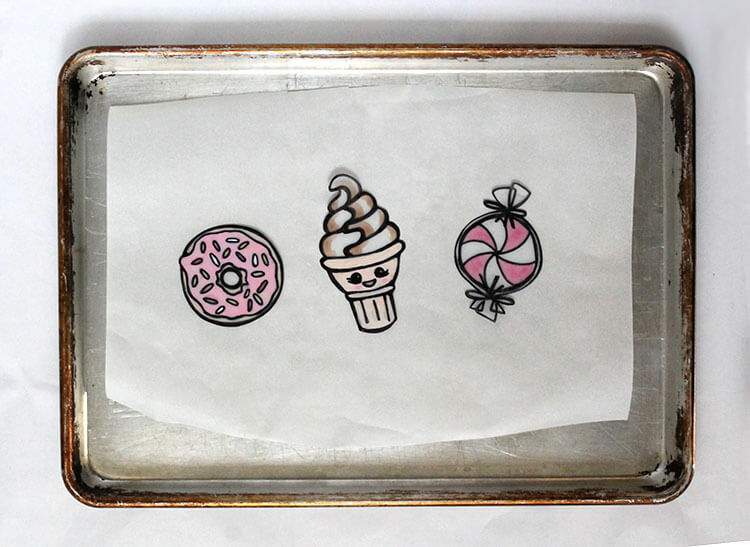 What sweet treat homemade pins do you want to make? I really need to get some shrink plastic! I keep seeing fun projects using it. These pins are so cute! Yes! I hadn’t played with it since I was a kid, but it is so much fun! soooooo cute! I love how you made these yourself! Loved these before, may like the sweet shoppe ones even more! So cute!! 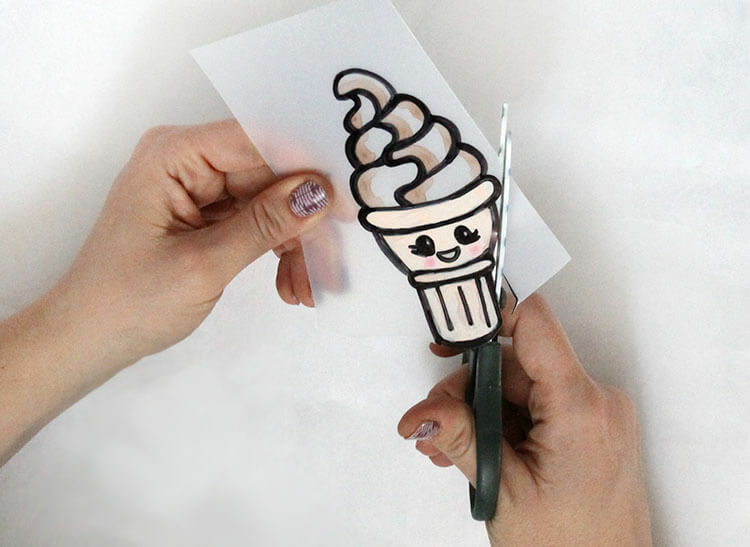 Wow this is a really cool way to make pins!!! Thank you for showing me how to make these pins. 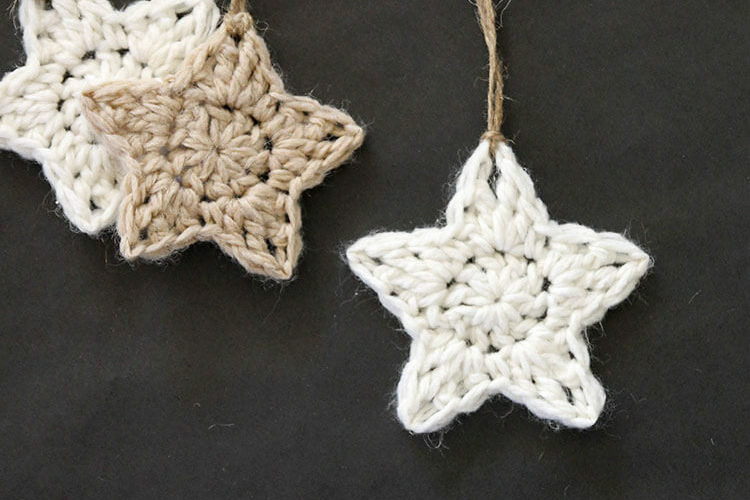 I have wanted to learn how to make them but they were too hard and now I know how to make them easier ??? Of the two links posted for the Shrinking paper, which one is better for this project? 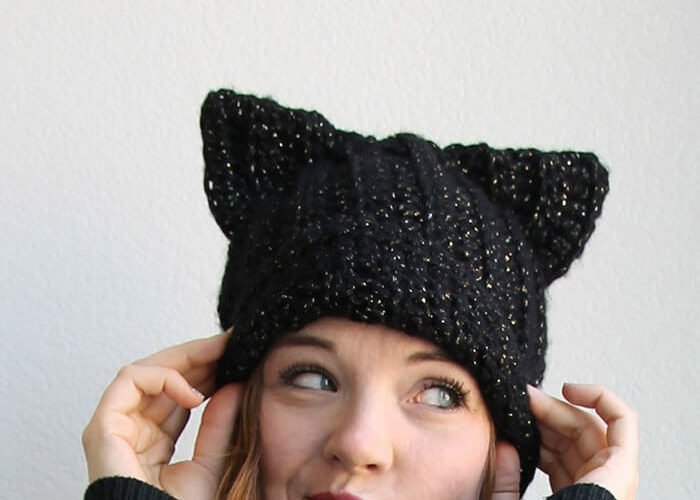 These are sooooooo cute! i followed the instructions and made my own designs my friends loved them so much now eveyone is asking me for them because there like “fashion pins”.They also do a pretty good job at making a statement on backpacks hats or even tees which is adorable. For the last month or so i’ve been looking for enamel lapel pins to buy, but this is even better now i can make my own! Hi, where can I print the pictures of the pins and are the gift tags just paper or is there cardboard to support it? Hi Sophia! The links for the pin design downloads and the printable cards are both included in the supply list. 🙂 And I just printed the gift tags on colored cardstock, and it worked great! Good luck!